Original English Folk, Folk-rock, and further . . .
Curdridge myth and legend – Kitty Nocks and the Curdridge Witch. For such a small village, Curdridge has a wealth of myth and legend. Many of you will know the stories of Kitty Nocks and of the Curdridge Witch – although they are often confused together. The following versions of these tales are taken from various sources, including the archives of the Botley and Curdridge Local History Society. I am grateful to Dennis Stokes for making these available to me. Kitty Nocks – or Nox – lived in a big house surrounded by a moat at the top of Kitnocks Hill, perhaps where the present Kitnocks House now stands. She had a suitor of whom her father disapproved so their meetings had to be in secret. One day she was found to be missing. A search was made and her body was discovered drowned in the moat. It seems she had been trying to join her lover to elope with him – although another version of the story has it that she drowned herself in a nearby pond after her lover abandoned her. It was after this event that the hill came to be known as Kitnocks Hill. But quite when the event took place no one knows. Nonetheless, since then her ghost is said to have haunted the top of the hill. Her most recent reported appearance was in 1978 when a lad got off the number 53 bus at Kitnocks Hill and was scared half to death to find himself accompanied by a lady-ghost as he ran home down Lockhams Road! As I’ve mentioned, there is often confusion between Kitty Nocks and the Curdridge Witch. She is sometimes known as Kate Nocks – or Nox – and it is said that Kitnocks Hill is named after her. However, what seems more likely is that the Witch was an elderly woman called Kate Hunt, who lived, sometime in the 17th century, on Mill Hill, or thereabouts, near Pinkmead and the road to Botley. One day some trees were cut down and fell across her garden. She was not at all pleased. The next day the trees were found lying in the opposite direction, across the road. She was also said to have flown to Bishops Waltham and back on a field gate ! Meanwhile, a servant girl used to travel regularly by horse taking milk and eggs to Bishops Waltham. On her way she would deliver a pat of butter to Kate Hunt. However, when the Witch repeatedly failed to pay, the girl was instructed to stop delivering to her. Kate Hunt became furious and declared that the girl would get to Bishops Waltham quicker than she had ever done before. The horse then set off at a gallop and didn’t stop until it reached ‘Clark’s Shop’, where the frightened girl found all her eggs broken and mixed up with the butter. It was also believed that the Witch could turn herself into an animal, most frequently a large white hare. It was finally decided that, as a witch, she could not be allowed to live. The hare was tracked down and shot with a silver bullet – the only way to kill a witch – and Kate Hunt was later found at her home wounded. She then died. There is also a ghost story associated with the Witch. Many years later, a lady riding in a carriage with friends near where Kate Hunt used to live saw a woman wearing a red cloak, but no one else saw her and it was agreed that such a cloak was an unusual sight. However, it seems that many years before it had indeed been common for elderly women to wear red cloaks. The confusions between these two characters are not just in relation to their names and to the origin of the name of Kitnocks Hill. One story is that people used to visit the grave of the Witch Kate Knox in a churchyard near Kitnocks Hill to seek her advice. They would go alone at midnight and intone her name three times and then listen for her reply. It seems clear that this practice must in fact have related to Kitty Nocks the drowned girl and not to the Witch. There has never been a graveyard on or near Kitnocks Hill. There is also confusion as to the identity of the gargoyle on St Peter’s Church tower which faces towards Kitnocks Hill and shows a woman – not obviously old – with her face displaying great distress. Some say this is the Witch, but surely it was intended to be Kitty Nocks – unless of course those who designed the tower in the 1880s were also confused ! There was a servant girl called Kitty Noakes. One night, on her way home from work, she was murdered on the hill by a footpad [i.e. a mugger] and robbed of her wages. I have not found this story written down anywhere before, but if you have heard it, or something like it, I would very much like to know. Indeed, if you know any other versions of or additions to these stories please contact me so that I can add them to the store of Curdridge myth and legend for future generations of Curdridge folk to enjoy ! Beddington, Winifred G., Christy, Elsa B., It happened in Hampshire, Hampshire Federation of Women’s Institutes, Winchester, Fifth edition 1977, p121 (This was first published in 1936). Botley and Curdridge Local History Society archives, The Curdridge Witch (1693/1 – 3)and The Legend of Kitnocks (1693/4 – 5). Taken from material collected by W S J Cooke. Moutray Read, D.H. 1911. Hampshire Folklore. Folklore Vol.22,No.3, p314. Stevens, F.E. 1934. Hampshire Ways. London: Heath Cranton, p.51. Summers, M. 1946. Witchcraft and Black Magic , London and New York: Rider and Co., p.192. Kitnocks – the origin of the name. (This article appeared in the April 2014 edition of the Curdridge ‘Parish News’). You may have seen my article ‘ Curdridge Myth and Legend – Kitty Nocks and the Curdridge Witch’ published in the March 2013 edition of the ‘Parish News’. 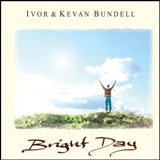 (If not, it is available at www.kevanbundell.co.uk ). That article tried to sort out the common confusion between the two characters in question. This article is an attempt to go beyond the legends and explore the historical origin of the name Kitnocks. So if you prefer myths and legends to historical ‘facts’, you should stop reading now ! Kitncoks Hill is a significant feature of the village of Curdridge. Local knowledge has it that the name of the place derives from Kitty Nocks, a young girl who lived and was drowned on the hill while attempting to elope with her lover. Exactly when she lived is not known. The alternative explanation is that the name comes from the so-called Curdridge Witch, but this seems unlikely as her name was probably Kate Hunt and she probably lived elsewhere in the village sometime in the Seventeenth Century. Folklore writers appear to have confused the two characters. · In a document called ‘Customs of the Hundred of South (i.e. Bishops) Waltham’, dated 1259/60 there is mention of a Thomas Kutenok. The implication is that Thomas was a tenant in the Hundred (an administrative area of land). · In the Rentals of Bishops Waltham for 1332, a Richard de Cutenok is listed as the tenant of a ‘1/2 virgate’ of land. · In the Rentals of Bishops Waltham for 1464, under the heading ‘COURDRYGGE’, we read : ‘a messuage [house] and 1/2 a virgate of bond land called Kotenokes, formerly Richard de Cuttenoke’. ‘Formerly‘ here means that Richard was a previous tenant. This is the first reference to the land itself being known by a name. Elsewhere in this document we find references to ‘the land of Kutenokes’ and ‘formerly Kuttenokes’. The spelling is all over the place, but it is clearly the same name that is being referred to. It seems clear that the name of the place that we have today has come down to us all the way from the name of the tenant family that held the land since at least the Thirteenth Century. As for the name itself, a little research reveals that ‘Cutte’ means ‘son of Cuthbert’ i n Anglo Saxon, and that ‘Knock’ or ‘Nock’ is a shortened version of the phrase ‘atten oak’ or ‘at the oak’ (just as the name Noakes is ‘at the oaks’ or Nash is ‘at the ashes’ ). On the other hand it could be ‘atten nock’ , at a hill or knoll. Be all that as it may, if you have read this far and still prefer the legend of Kitty Nocks or the Curdridge Witch, you must not of course be swayed by my research. Especially if you are in need of advice. According to one Folklorist’s account it was customary to visit ‘Kit Knox Hill’ at midnight and to circle Kit Knox’s grave three times, ‘Then listen for the answer . . . council and guidance will always be given.’ I assume this custom has now died out, but do let me know if you know differently. I will then be sure to let whoever moves into the new houses just built on the top of the hill know – and tell them not to worry should they find folk wandering round their garden in the middle of the night ! 1332 & 1464 Rentals of Bishops Waltham Manors, Harold G Barstow, 1992. Alan Glynne-Howell – an appreciation. 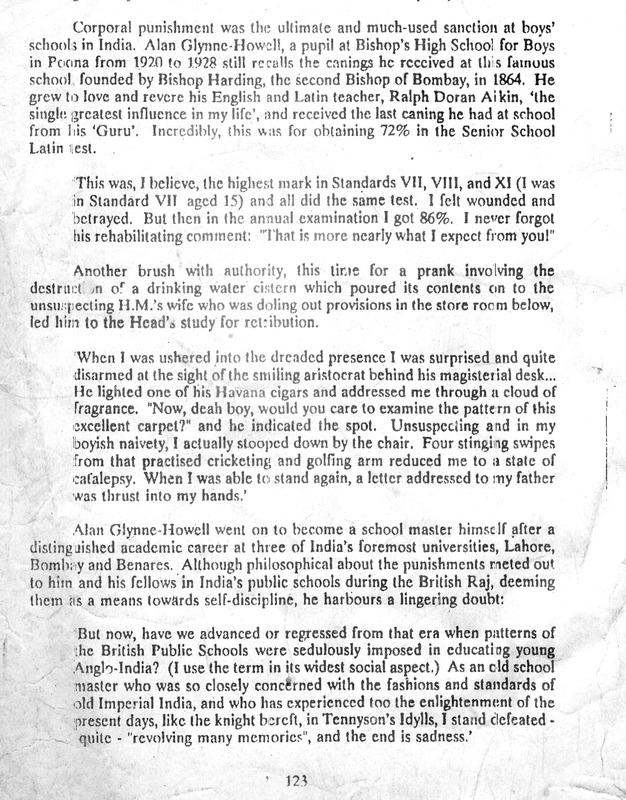 I first encountered the formidable Mr Glynne-Howell at the too tender age of eleven as he attempted to teach us Latin. In my case at least, he failed utterly. In my first year final exam I was awarded a mark of three percent – one for writing ‘amo, amas, amat’, the other two for spelling my name correctly. He was a generous man. Mr Glynne-Howell was otherwise known to us as ‘Genghis’. On the one hand this displayed our profound schoolboy ignorance, on the other it was unarguably appropriate. He would bear down upon us, dark of gown and of physiognomy, take us by the cheek between finger and thumb, and shake us like rabbits; he would steady our face with one hand and slap us with the other, admonishing us to ‘Take it like a man’. He would then extract his handkerchief from his pocket and fastidiously wipe his hands of our contamination. This was not at all what we were used to, but we were far too young, and intimidated, to protest. Later on he also taught us ‘A’ Level Religious Studies, by which time we were a good bit older, and he less intimidating. Nonetheless, it was only many years later – after I had left school, after I had lived in India for a while, and after I was married to an Indian – that I came to some kind of an understanding of where Alan was coming from. He was coming from a world which no longer existed. India gained its independence from the British Empire in 1947. The Raj was finished. Like many others of Anglo-Indian descent Alan, and his wife Tessa, were face with a decision as to where to build their future. He had done well in an India ruled by the English language and its culture. He had obtained both Bachelor’s and Master’s Degrees in English, from the Universities of Bombay and Benares respectively, and won a William Shakespeare Cup along the way. He had trained as a teacher and then taught at the prestigious Church schools of Bishops High in Pune and the Cathedral School in Bombay. He had taught the sons of Rajas, as well as the sons of other important members of the Hindu, Christian and Muslim communities. But the world in which he had been brought up, and in which he had competed, was quickly fading – and England had always been referred to as home. In 1962 the Glynne-Howells decided, like other members of their family, to move to the UK. Alan first taught at an independent girl’s school in St Ives, Cambridgeshire. One wonders what the girls made of him – and he of them. Presumably he did not require them to ‘Take it like a man’. In 1965 he joined Price’s Grammar School for Boys in Fareham, Hampshire. It was a rather traditional establishment, with something of the English public school about it, and was led by a Headmaster, Mr E.A.B. Poyner, of firm Christian convictions. These characteristics would no doubt have helped Alan feel at home. However, this was the nineteen sixties and England, like India, had also changed, and was changing still. At Price’s Alan was largely put to teaching Latin, obligatory in the first year, but never a greatly popular choice thereafter, and Religious Studies – of which he was Head – but again a minority pursuit beyond the statutory one class a week. Meanwhile he was denied the opportunity of teaching his beloved English Literature. I believe this may have been at least partly owing to a perception that Alan’s approach to the subject was rather old fashioned. And so it no doubt was. Yet Alan’s old fashioned erudition and use of the English language were glorious, and I for one have never recovered from them. At the same time, outside of school, Alan suffered on occasions the prejudice and name-calling that those ‘of a dusky hue’, as Alan put it, had to endure in a provincial town at a time when non-white faces were not at all common. This must have been particularly unpleasant for a man of Alan’s background and sensibilities. Another thing I understood from living in India was that Alan’s assaults upon our eleven year old cheeks were not in fact acts of aggression but rather of affection. In India grown-ups commonly pinch the cheeks of children or give them a gentle slap while admonishing them for some minor misdemeanour, or indeed for none at all. And the children grin back at them. And yet, as I recall, Alan was always rather serious about it. He was fearsome of aspect (as he would have put it), and, often, it hurt. In fact, he was conflicted. We were his pupils and therefore dear to him. But we were also an ignorant and rather ordinary bunch of boys, from very middle or working class backgrounds. And above all, we were unwashed. Alan’s fastidious wiping of his hands after every contact was not merely a performance. It was also a comment upon and a criticism of our personal washing habits. No doubt small boys everywhere are among the least fragrant members of society. However, Alan was also possessed of a particularly sensitive nose. In India his pupils would have routinely bathed every morning. In England in the 1960’s, before the general arrival of domestic showers, a bath once a week was more the norm. Of course we were also obliged to take showers at school after PE and Games, but it was amazing how quickly boys could rush in and out of the shower room, and then climb back into clothes which had probably already been worn for the best part of a week. At some point in 1967 or ’68 Alan fell ill and was away from work for a term or more. When he returned we were all shocked to see that his formerly coal black hair had turned quite white. Unfortunately his health was never of the best in his later years, especially after he retired in 1975. It was my brother Ivor – also a pupil of Alan’s – who first began to visit Alan at home, and then I joined him. This was when we first met Tessa. By this time Alan had clearly forgotten, or chose to ignore, my achievements in his Latin class. His conversation was always riddled with sage – I assume – remarks, quotes, and aphorisms in Latin. Sometimes he would translate, but often-times he would not. Fortunately there was more than enough of the same in English to give me some chance of joining in the conversation. Later on my wife and I visited, usually for afternoon tea, sometimes with our children. Alan and Tessa would also come to tea with us. I remember an occasion we visited when both Alan and Tessa were, by then, less nimble than they had once been. My wife, in very Indian fashion, soon took over the serving of the food and tea and Alan and Tessa were obliged to be waited upon, as befitted their age and status. Alan was flustered and embarrassed at being looked after in such a way in his own house, but at the same time I felt he was also moved by the touch of his old home and culture. Alan passed away at the very end of December 1989. His memorial service was conducted by another of his former Price’s pupils, Peter Hancock. We continued to have Tessa round for tea until she passed away in 2013. In any case Alan is still often mentioned and in our minds. It was a very special experience – in a variety of ways – to have had Alan as a teacher. Although I understood, if not quite nothing, only a limited amount of what he might have taught me, it was a gift to have known him. From ‘Under the Old School Topee’, Hazel Innes Craig, British Association for Cemeteries in South Asia (BACSA), Putney (1990, 91, 96). A further appreciation of Allan Glynne-Howell, written in response to my Appreciation (which you should read first), by my fellow former Pricean and classmate, Michael Daysh. AGH was one of very few teachers for whom I had great respect. He was a pearl before a load of swines, and I wonder what made such a man want to teach us. Not that I am complaining, but you would have thought that he would have taught in a posh school, where his classical talents would have been appreciated. Blood red ink in his fountain pen, which he used to write in a masterful, flowing sort of a way. It was a bit like he was painting with his pen. His signature influenced mine, because he always put two dots under his name. Somehow the two dots conveyed authority. My dots have become a line, but with the same intention. I took to Latin myself, and failed O level only because the criminally incompetent ***** took over. He (A G-H) was a good Latin teacher, and it’s now part of my kids’ “take the piss out of father” routine to imitate me explaining the meaning of an English word by reference to the Latin derivation. It helped greatly with French and Spanish too. That is in fact Allan’s lasting legacy to me. He did teach English at some point. I definitely know he taught me (and therefore you, I assume) because I recall him managing to make Shakespeare quite interesting. Maybe he was just standing in. He was one of the few teachers who always wore his gown, and he would have looked better swaying through the cloisters of some ancient public school, rather than the smelly corridors of Price’s. It was part of his public persona, and added to his considerable gravitas. I now realise that the best teachers are great actors, but it works: We would never have mucked around with him like we did with ******, for example. The horrible day when somebody had written “Genghis” on the blackboard. He walked in and walked straight out again. I am sure that he took it as a racist insult, and I am sure that it was meant as such. ****** took the blame, but I don’t think it was him at all. I don’t know who it was. I do know that most of us were shocked both by the racism (although we did naively use abusive terminology, I must admit) and by AGH’s reaction. We just didn’t understand about any of that in our 99.9999% white middle class world. His very Indian way of leaving a long gap before the end of a sentence. I’ll mimic it next time I ……….. see you. It is a good teaching technique. My lecturer at college did the same. It makes you think about how the sentence should …….. end. I am glad that others remember him fondly. I always say you only die when you’re forgotten, so he’s got a good few years left! Birds of Sirumalai, Tamil Nadu: 1980–2009. Indian Birds 5 (5): 143–145. by the Palani Hills Birdwatchers Society1. 1980, and to return for a period of five days in January 2009. (Pallithanam, 2001; Karuppusamy et al. 1999; Kottaimuthu et al. in general or, other than Swami (2006), on its birds in particular. between October and December with the NE Monsoon . . . . Birds of Sirumalai – Further observations, February 2015. This note is an up-date to the observations reported in Indian Birds 5 (5): 143–145. I visited Sirumalai again in February 2015. The list below records all species observed during my visit, with those not previously reported given in bold. 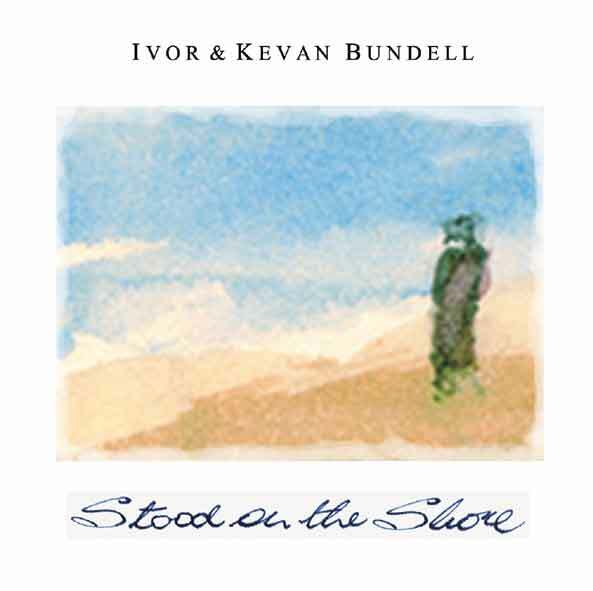 Ivor & Kevan Bundell ~ Contemporary and original folk ~ and further . . .
About us and our music. We grew up and we live in the county of Hampshire, not far from the ancient city of Winchester, and there is a strong local and historical theme to many of our songs, which range from the serious to the (hopefully) amusing. Our sound is mainly acoustic – though electric lead guitar and drums are not unheard of – and our music can reasonably be described as contemporary, English and original folk and folk-rock – our own compositions mostly, some more contemporary and some more traditional in style. On the other hand, if you prefer, it might also be described as “English Roots”. 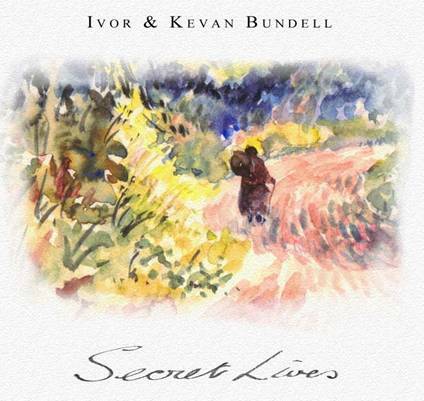 We have played in folk clubs and at festivals, although we most often play at concerts arranged by ourselves or by our friends, often in aid of charity. (Please contact us if you would like us to perform in aid of your favourite charity). We have been playing together, and with others, for many years, including with Paul Gateshill, who also assisted us on all of our albums. The three of us, plus other friends, previously made an album back in 1975, called ‘Presence’, which, unfortunately, is no longer available. However, Paul has also brought out a fine CD (on which we assisted) called ‘Years in the making’. (Contact us to order a copy). For a detailed “Musical Genealogy“ showing where we’ve come from, who we’ve played with on the way, and what they and we have produced in the way of tapes, LPs and CDs over the years, take a look at our web site. 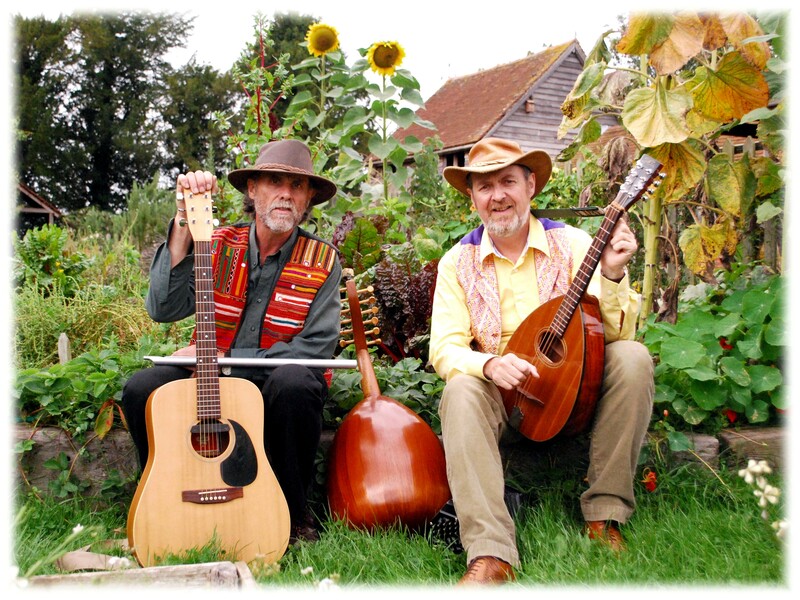 Our influences include: the Incredible String Band, Robin Williamson as a solo performer, hymns ancient and modern, English literature, and time spent living, working and playing abroad, plus the fact that we are English. We are still exploring where all these influences might take us. We hope you will want to hear and will enjoy where we’ve got to so far. Ivor and I were pupils of Alan’s at Price’s School. We met Tess only after our school days, when we began to visit Alan following his retirement. After Alan’s death we continued to see Tess: she came to our children’s birthday parties; we invited her for Sunday tea, happily ferrying her from Fareham and back; and we arranged to drop in on her at ‘Everest’ whenever we could. She was always wonderfully positive despite the difficulties of her old age. We saw her last in the Spring. My mother and I went round for ‘elevenses’. Tess was rather deaf by then of course and the conversation was occasionally rather odd as a result, though she had always been quite adept at ‘secretly’ lip reading. However, it was, as always, a pleasure to be with her. We remember her with much love and affection and as one of our special honorary Aunts. The following games were recalled by my sister-in-law Elaine Bundell (née Vacher). She was born in 1952 and lived as a child in Royton, near Oldham, in the general vicinity of Manchester, in what was then part of the county of Lancashire, in the North of England. Kerb or the red brick wall ? This was reported from Stockport, which is not far from Manchester and Royton. Both rhymes are noticeably nonsensical, especially their first lines, which leads the Opies to add the following disparaging note to their example : `Versions in various stages of decomposition throughout the north country’. It is not clear, however, what the more composed original might have been. Doh ray me far so la ti doh ! Steve Roud reproduces the same rhyme, word for word, reported from Kent in the 1940s, also used for games involving the bouncing of balls. Such ball- bouncing games, says Roud, were exclusively girl’s games. They were also `immensely popular’ – which makes it all the more striking that they `seem nowadays to have disappeared’. Who’s got the ball ? This is a version of the game Queenie. ‘Queenie is the perpetual delight of little girls aged eight and nine’ write the Opies. The commonest version of the rhyme begins ‘Queenie, queenie’ but the Opies note that` in Scotland and North-east England’ the rhyme begins instead with` Alabala’. They do not specifically give any example from the Manchester area .